We walked from the outskirts of Godinje up the long hill to the old village of Seoce. The weather brightened and the east wind was blocked by the hills for most of the way. Blackcaps were as numerous and busy as ever in the roadside trees. 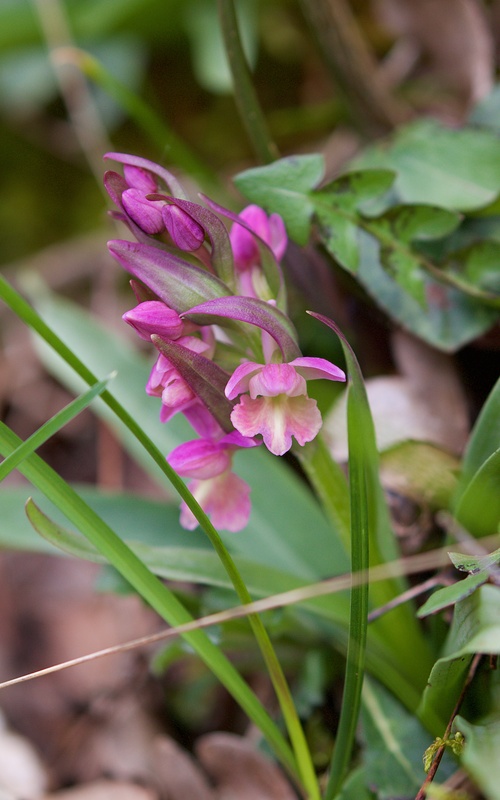 There were many Fritillaria messanensis and these were most abundant in the shaded, grassy woodlands. We found two more groups of Ophrys scolopax with many going over. Seoce was quiet with only the occasional, happy sounds of children playing from the houses up the hill. A large flock of greenfinches accompanied by a few chaffinches flew up noisily from the weeds beneath the neatly pruned vines. At the far end of the village, beyond an old water pump and holding pens, a statue of a heroic Partisan stood in solitude; the memorial garden around it was overgrown but the tall pine trees framed it well. 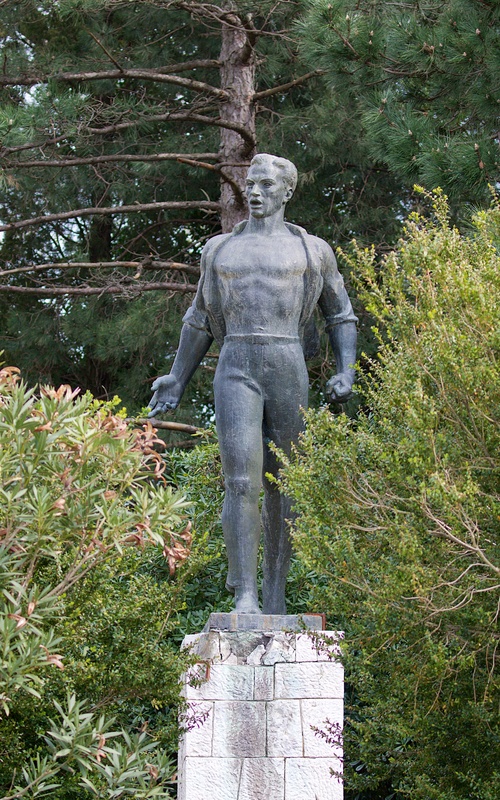 Statue to the Partisans in Seoce vilage. 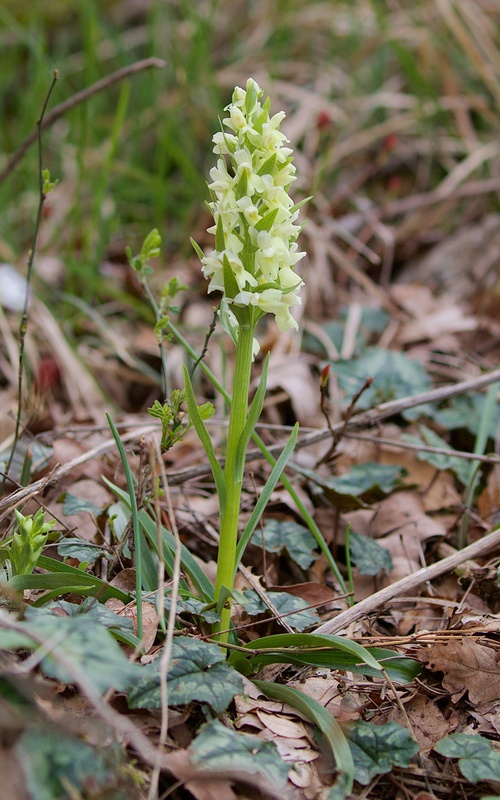 Above the village, we continued to climb and found a fine colony of Roman orchids (Dactylorhiza romana) in pink and cream white under the hornbeam. 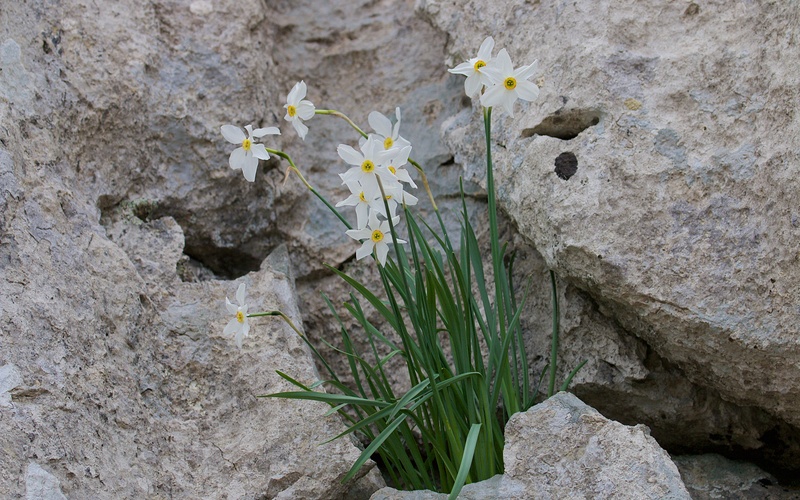 Just beyond these, stark limestone cliff rose above the road and pheasant’s eye narcissus (Narcissus poeticus) grew in bunches in the many clefts and gave the appearance of being neatly planted in an oversized alpine garden.